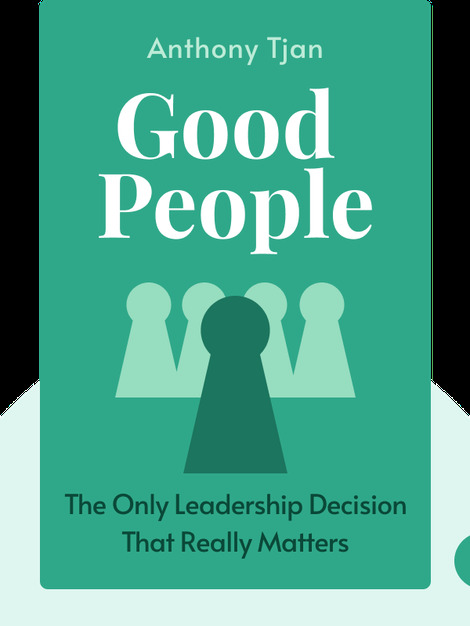 Good People (2017) restates the case for goodness in the cutthroat world of business. 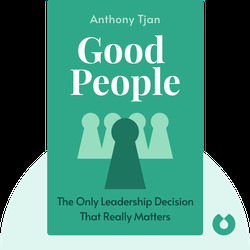 By redefining goodness and good people as crucial elements of a successful enterprise, Anthony Tjan challenges the notion that we can only succeed through our skills and competencies. Anthony Tjan is an author, entrepreneur, business consultant and CEO of the Cue Ball Group – a US-based investment firm with a people-first philosophy and a focus on human capital. Previously, Tjan co-authored Heart, Smarts, Guts, and Luck: What It Takes to Be an Entrepreneur and Build a Great Business (2012).